This Malaysian style crispy spiced fried chicken (Ayam Goreng Berempah) is an all time Malaysian favourite dish and is extremely delectable. 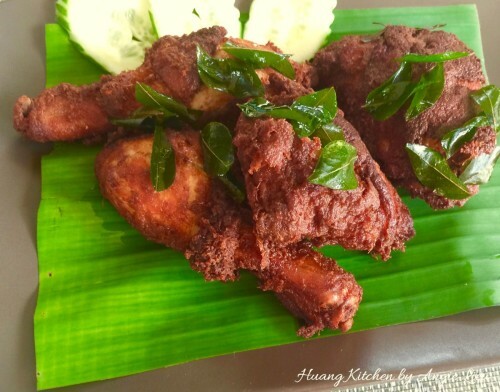 I love this type of Malay fried chicken as they are full of herbs and spices. It’s crunchy, it’s juicy, it has a light crispy crust and bursting with the aromatic flavours of fresh herbs and spices in it. The taste is just so amazing and the crispy fried chicken looked so unbelievably inviting. 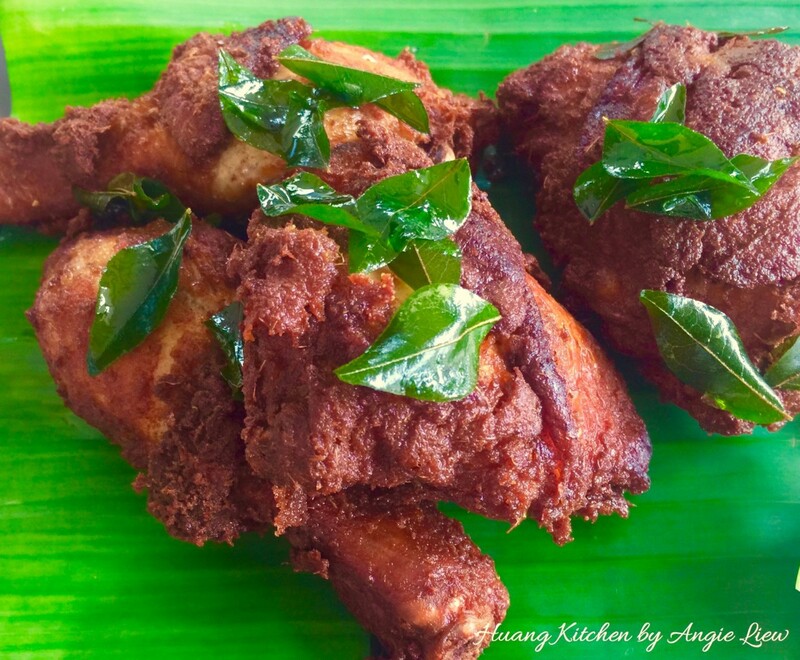 The list of ingredients used may be lengthy but its blend of spices give this dish its characteristic flavour, only and only these malay style crispy spiced fried chicken (ayam goreng berempah) possess. 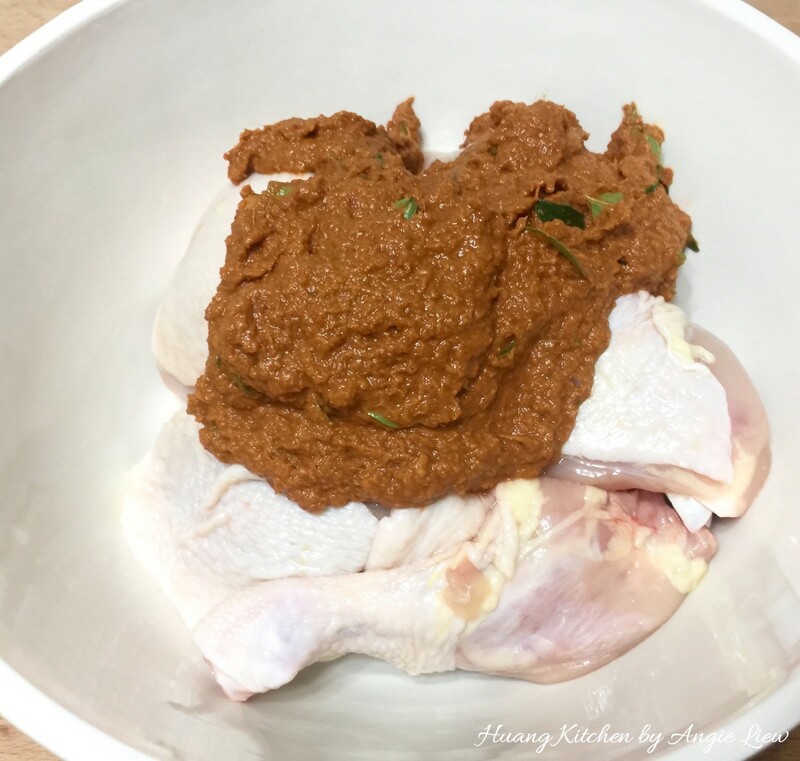 The first and most important step in cooking Crispy Spiced Fried Chicken (Ayam Goreng Berempah) is marinating the chicken pieces with fresh grounded spices. The fresher the spices, the better the taste of this Crispy Spiced Fried Chicken (Ayam Goreng Berempah). Also, be sure to cut the chicken into large pieces. Large cuts of chicken help to keep the meat moist inside when deep fry. The addition of a little cornflour will make a light crispy crust on the outside so make sure the skin is on because it crisps up amazingly well when the chicken is deep fried. 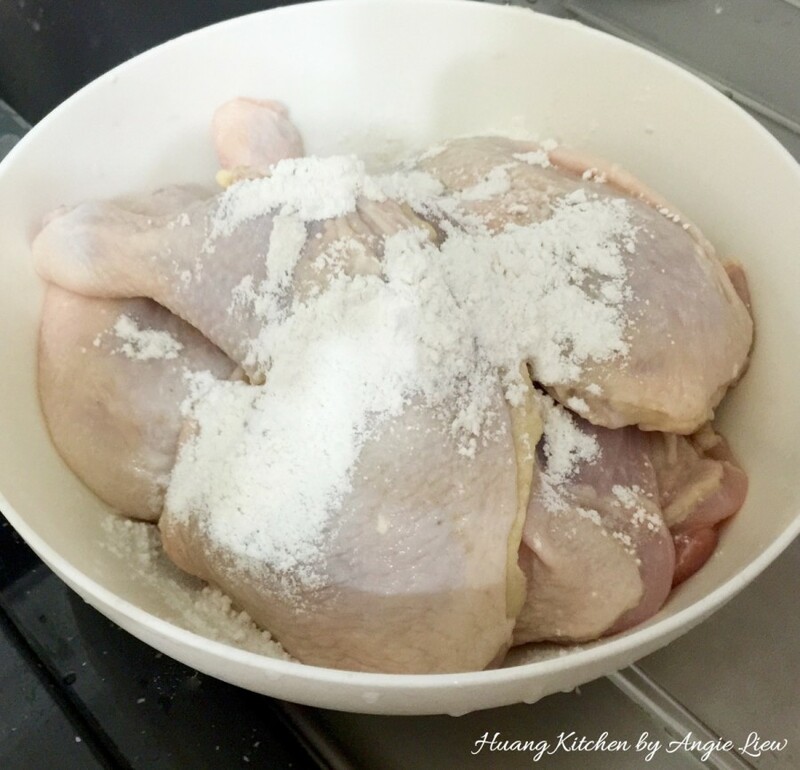 Another vital step is to make sure the marinated chicken are well seasoned with salt and sugar. 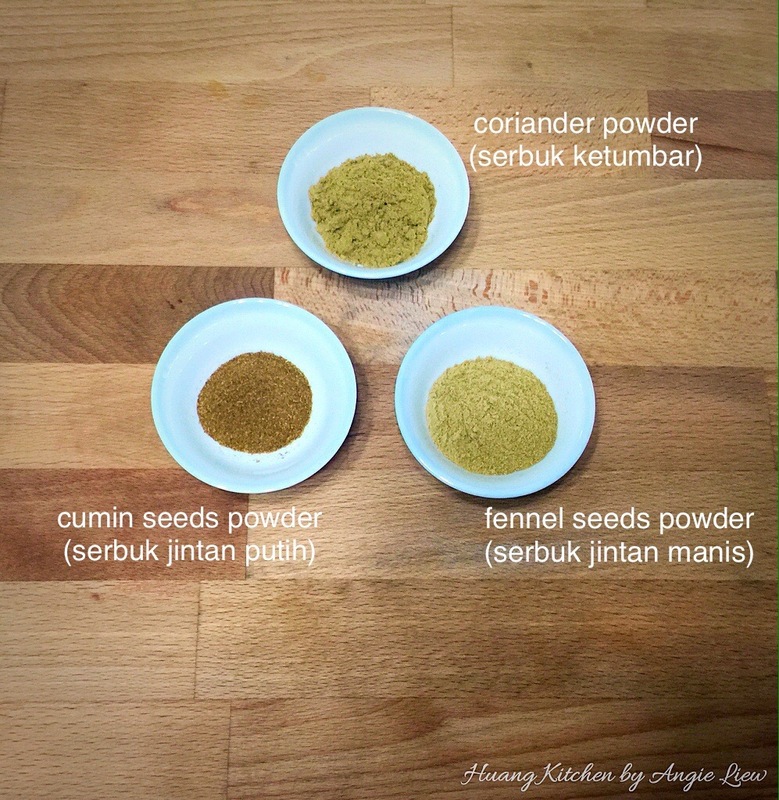 This will enhance the overall spice flavour of the Crispy Spiced Fried Chicken (Ayam Goreng Berempah). Just perfect served with some homemade nasi lemak. 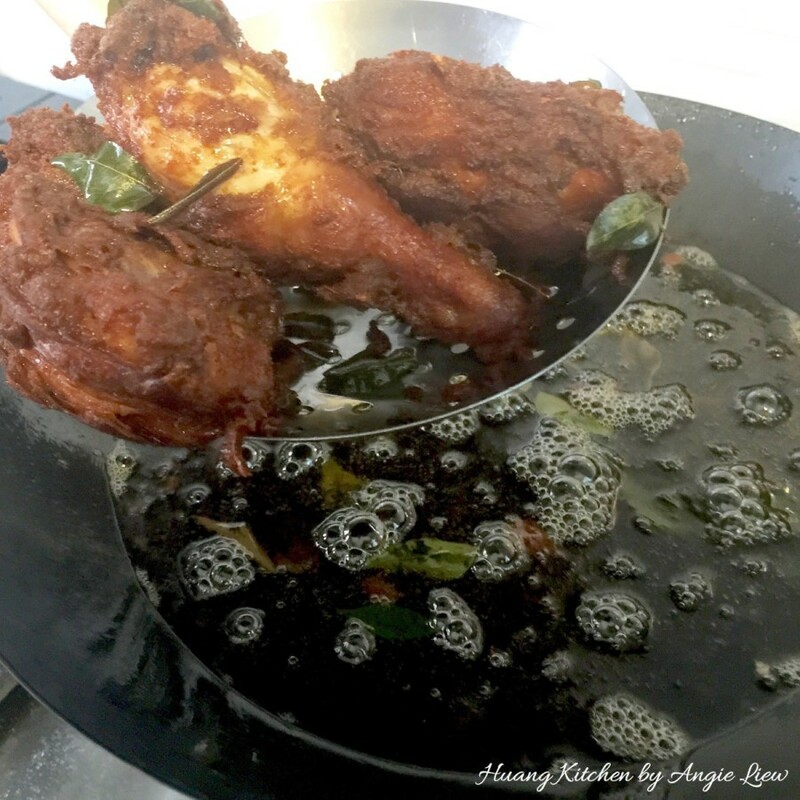 Yes, this malay style Crispy Spiced Fried Chicken (Ayam Goreng Berempah) is actually quite simple to make. 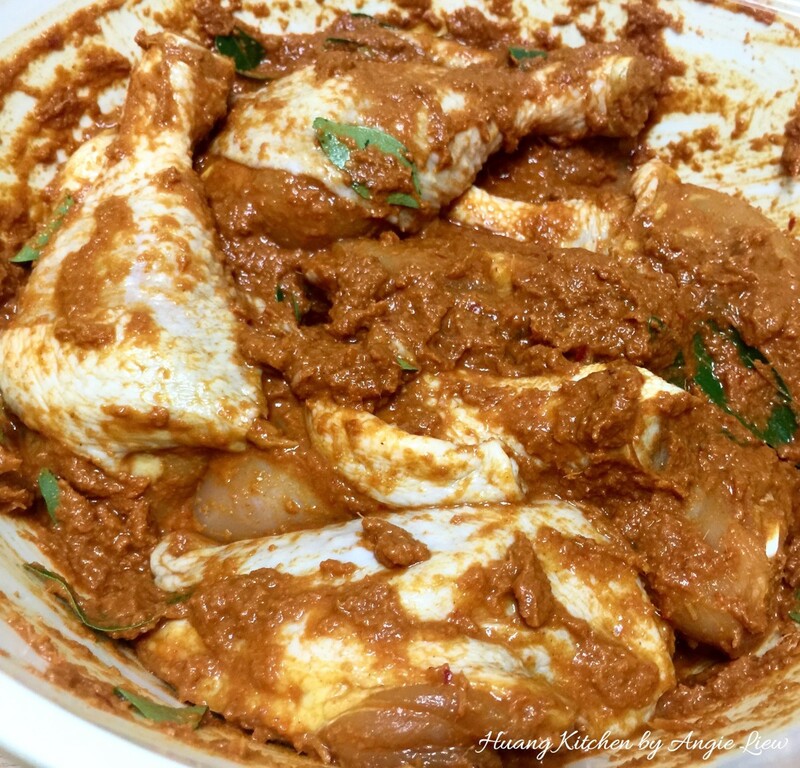 Just marinate the chicken well with all the spices preferably overnight and deep fry in hot oil infused with curry leaves flavour. 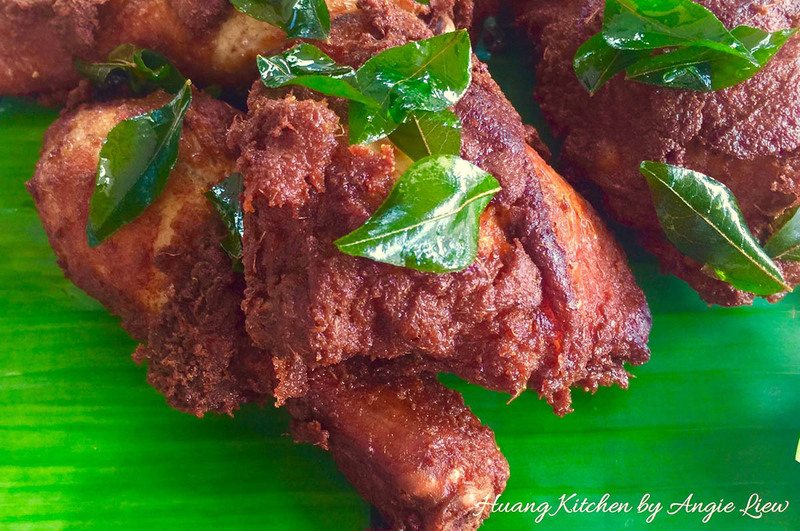 Serving these Crispy Spiced Fried Chicken (Ayam Goreng Berempah) with coconut rice or nasi lemak (another Malaysian’s favourite) is just so fulfilling, it is just not complete having one without the other. 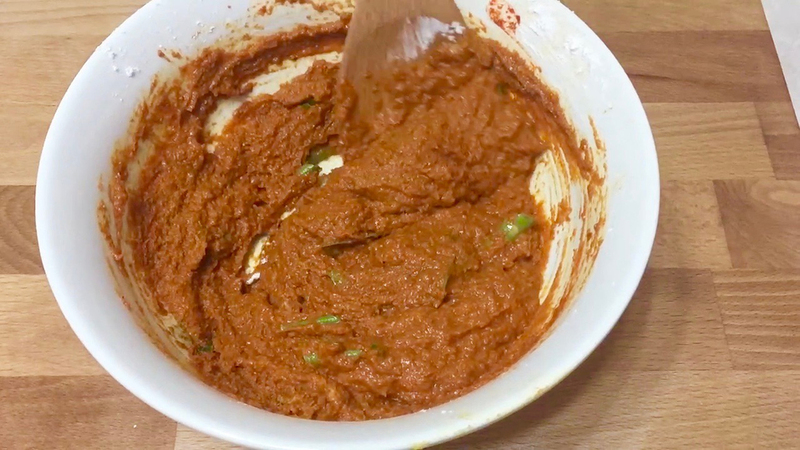 Of course, it will be perfect to go along with some traditional sambal sauce as well. Commonly known as Ayam Goreng Berempah, this Malay style crispy spiced fried chicken is delectably crunchy, juicy and bursting with the strong flavours of herbs and spices in it! First clean the chicken. Wash, coat and rub all-purpose flour into chicken. Then rinse and drain well. Cut the chicken into medium size pieces or as desired. Have ready all the ingredients needed. 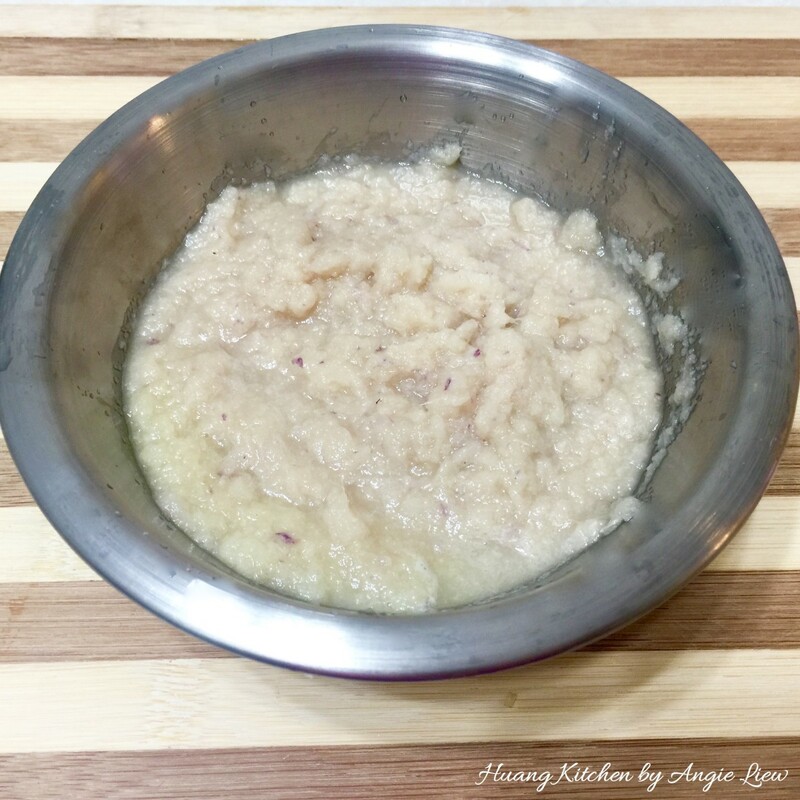 Blend coarsely lemongrass, shallots, garlic and ginger. Add a little water when grinding. Transfer into a bowl and set aside for later use. Next, blend finely the ketumbar, jintan manis and jintan putih seeds. You can also choose to buy these spices in powdered form. 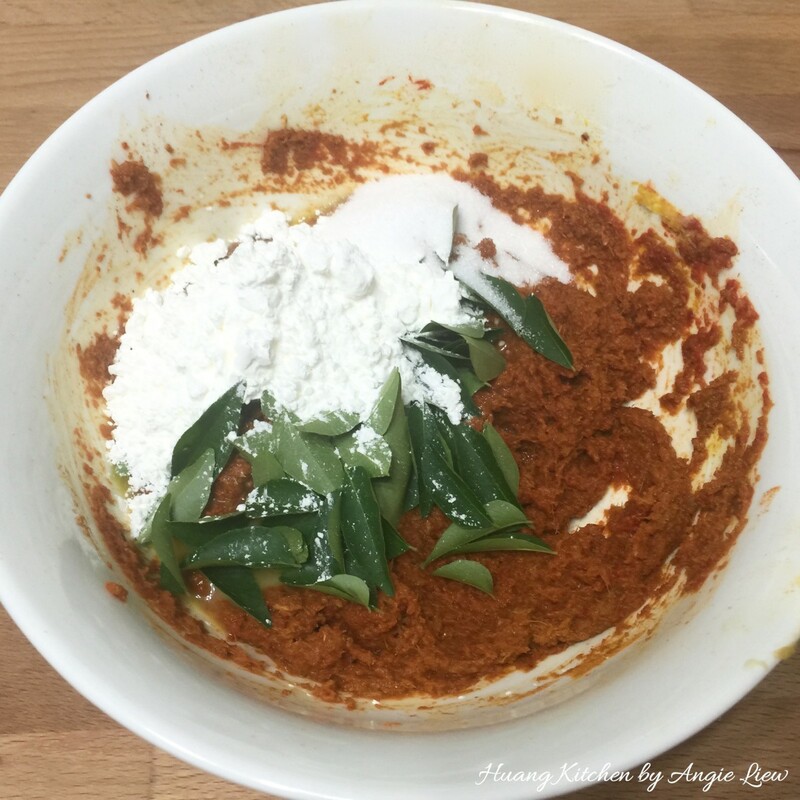 Mix well all coarsely and finely ground spices, chili paste and turmeric powder in a bowl. Then mix in one egg. Followed by curry leaves and cornflour. Mix everything until well combined. Add salt and sugar to taste. Then add the fresh herb paste into the chicken pieces. 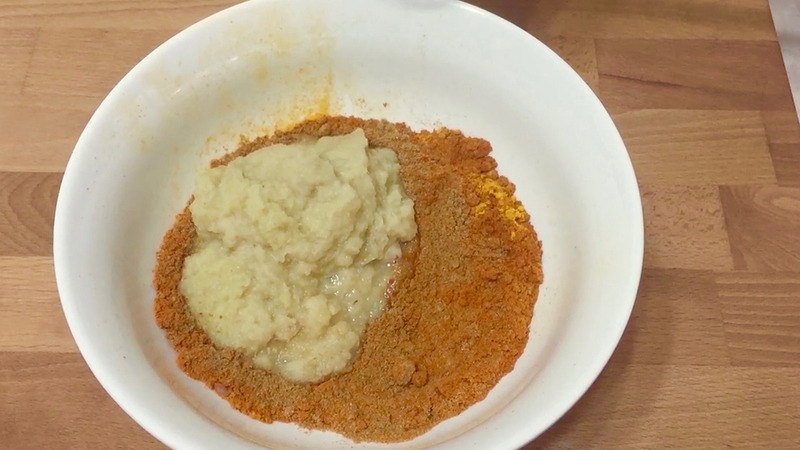 Mix with your hands until chicken is thoroughly covered with the aromatic spices and seasoning. 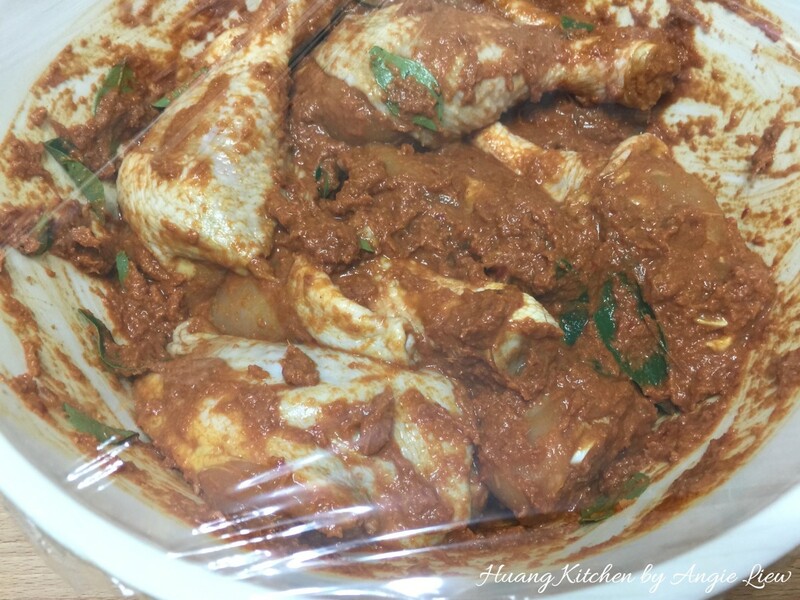 A long and sufficient marinating time is quite important so cover with plastic wrap and leave to marinate in the refrigerator for several hours, preferably overnight. 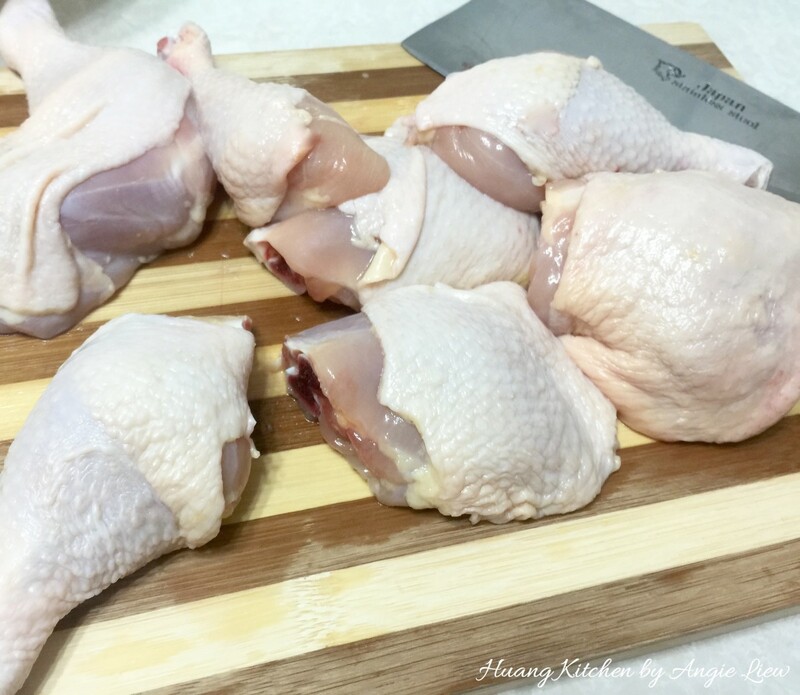 Remove the marinated chicken from the refrigerator 1 hour before frying to bring the chicken to room temperature so the inside of chicken meat isn't cold. Otherwise, we will end up with meat that is burnt on the outside but raw on the inside. 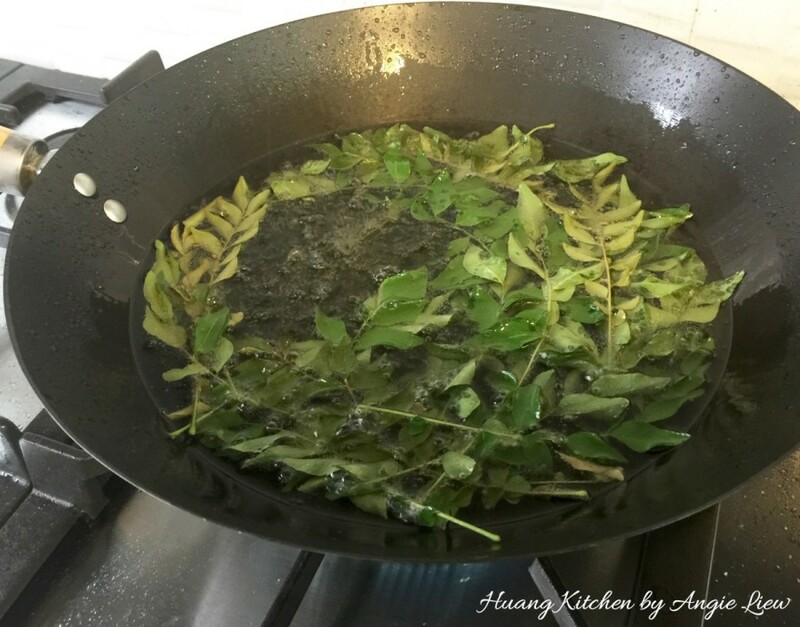 When oil is ready, fry some stalks of curry leaves for about 2-3 minutes over medium to low heat. Curry leaves release a strong curry-like fragrance with a citrus overtone. 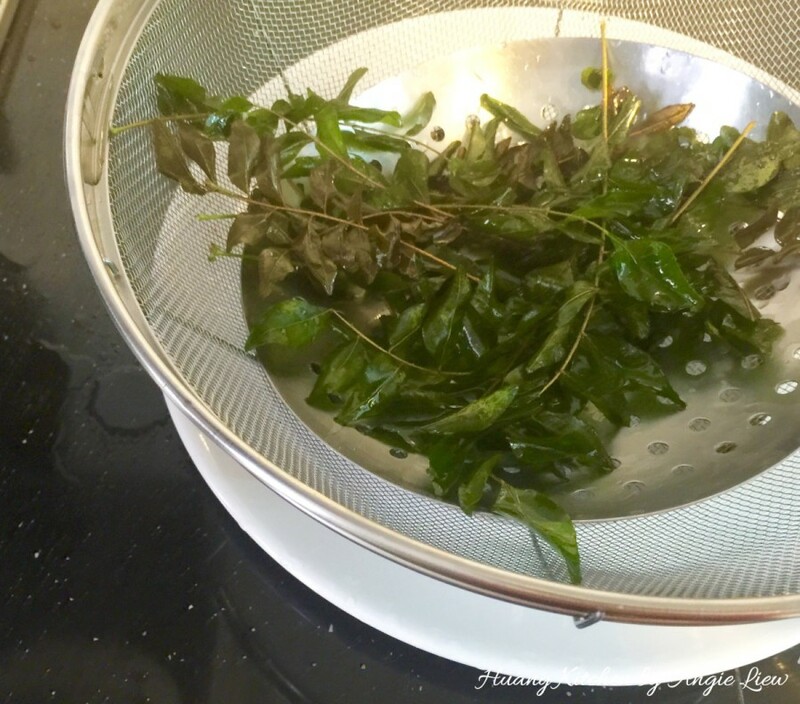 Then remove the fried curry leaves from the oil using a strainer. 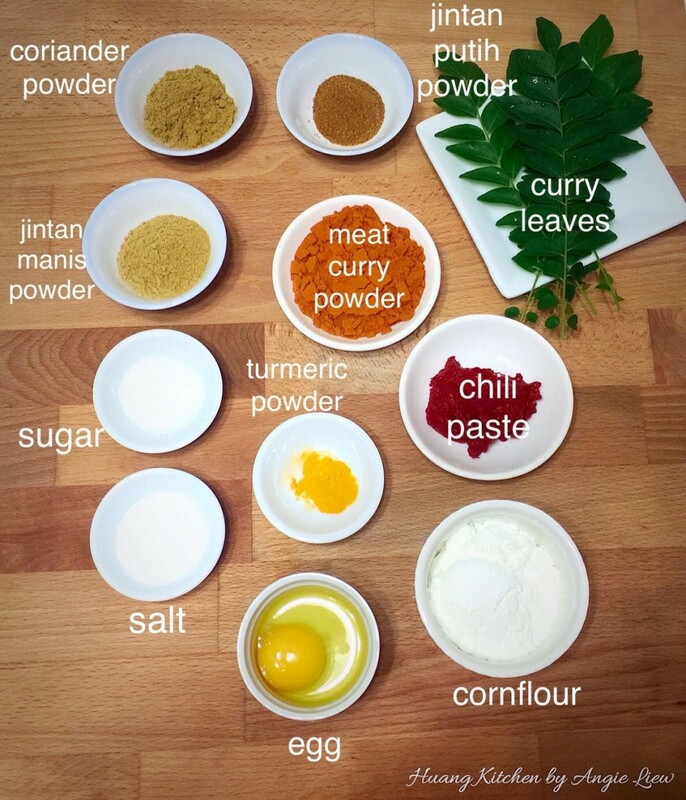 Set aside the fried curry leaves for garnishing. Next, put in marinated chicken into the curry leaves infused hot oil, piece by piece. 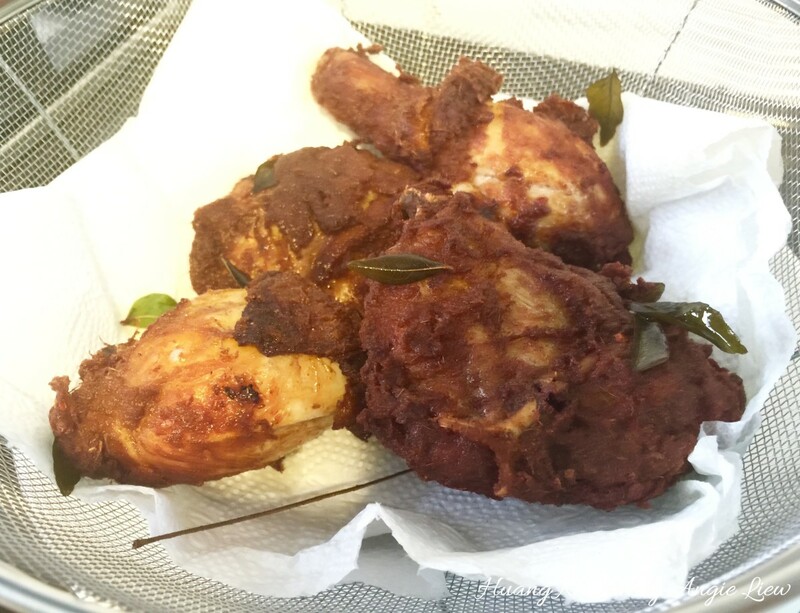 In batches, deep fry for 15 to 20 minutes until chicken is crispy, golden brown in colour and juices run clear. 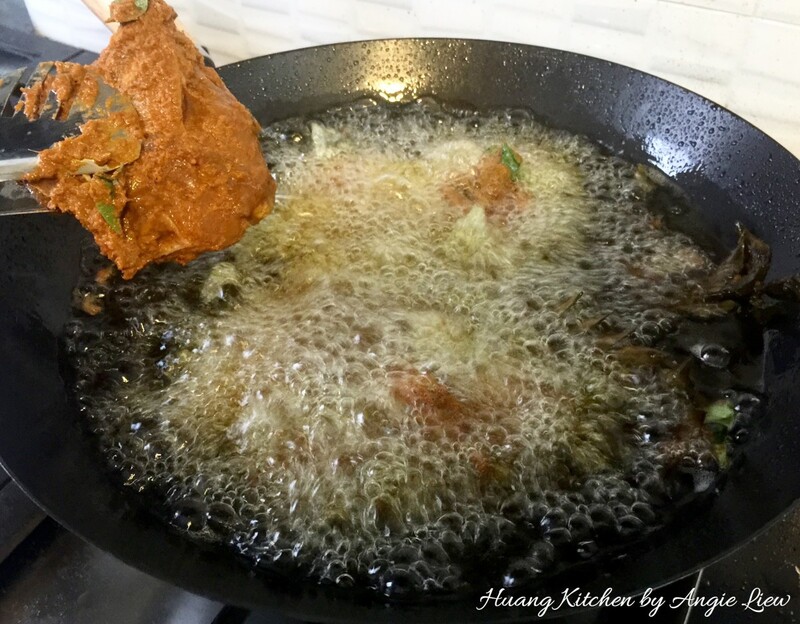 Once done, remove the fried chicken from oil using strainer. Drain the fried chicken on paper towel to remove excess oil. 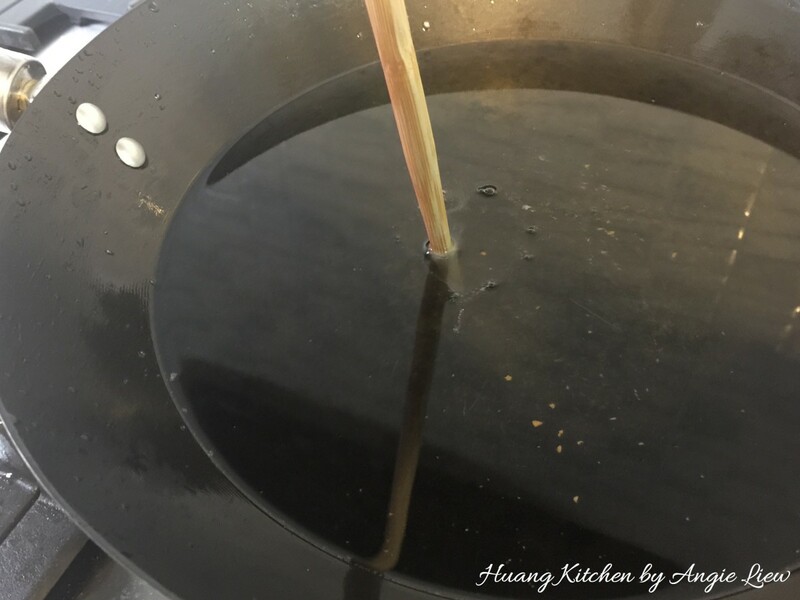 Also remove the fried spiced crumbs from the oil and set aside to drain off excess oil. 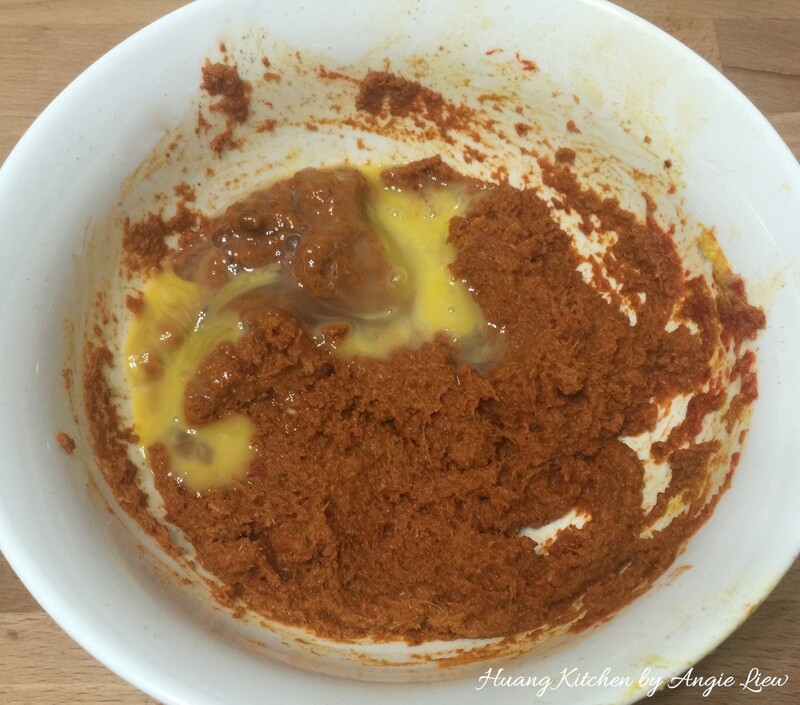 Do not throw away these spiced crumbs as that is one of the tastiest part. And we're done! 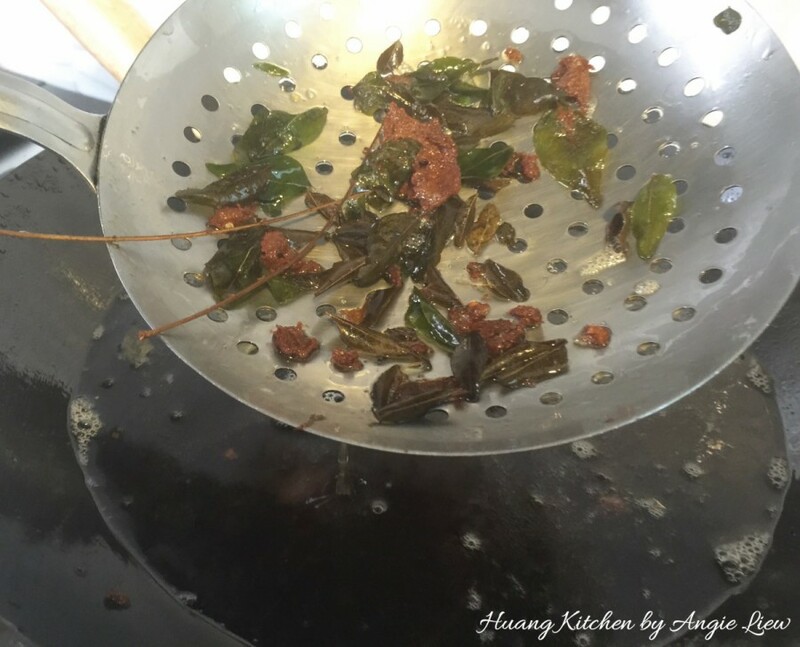 Serve them hot garnished with the fried curry leaves and crispy fried spiced crumbs for extra flavour. 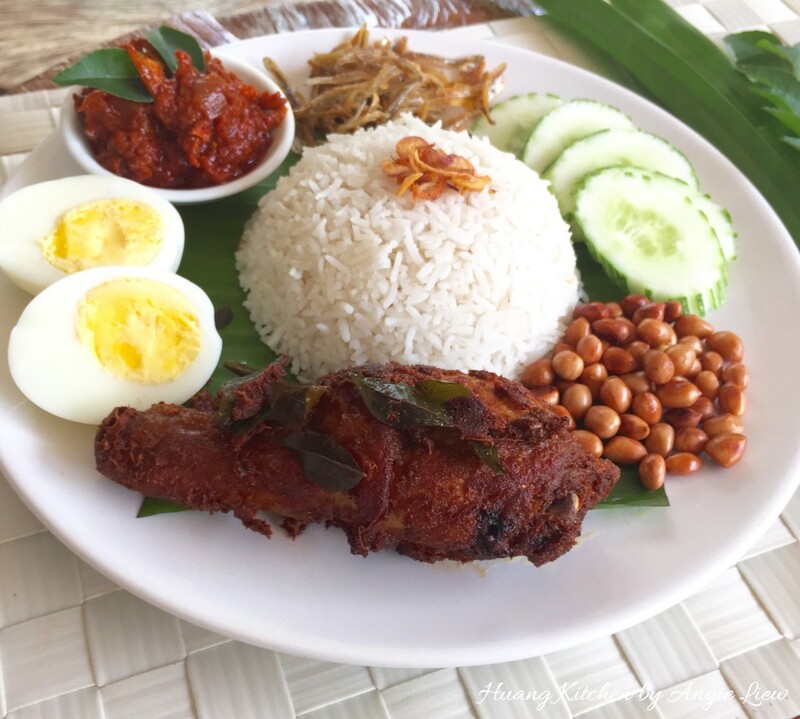 This crispy chicken is just perfect with some homemade Malaysia's traditional nasi lemak. As always, ENJOY! If using chicken whole legs, score twice across the fattest part of the flesh all the way to the bone. This will help to cook the fried chicken through easier. Time to deep fry the chicken is dependant on the size of the chicken pieces. A bigger piece will take a longer cooking time. Large cuts of chicken is preferred as this helps to keep the meat moist inside with a crispy exterior when deep fry. 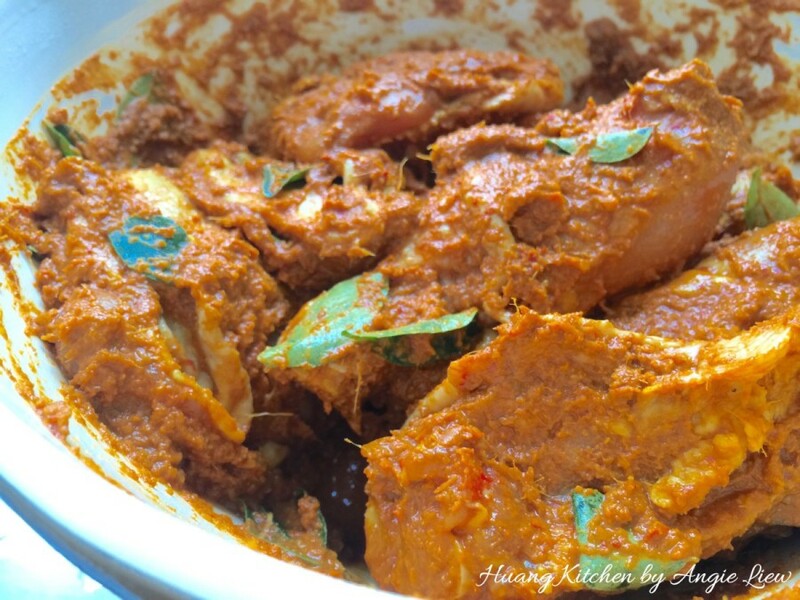 A long and sufficient marinating time is important so do marinate the chicken for at least 6 hours, preferably overnight.